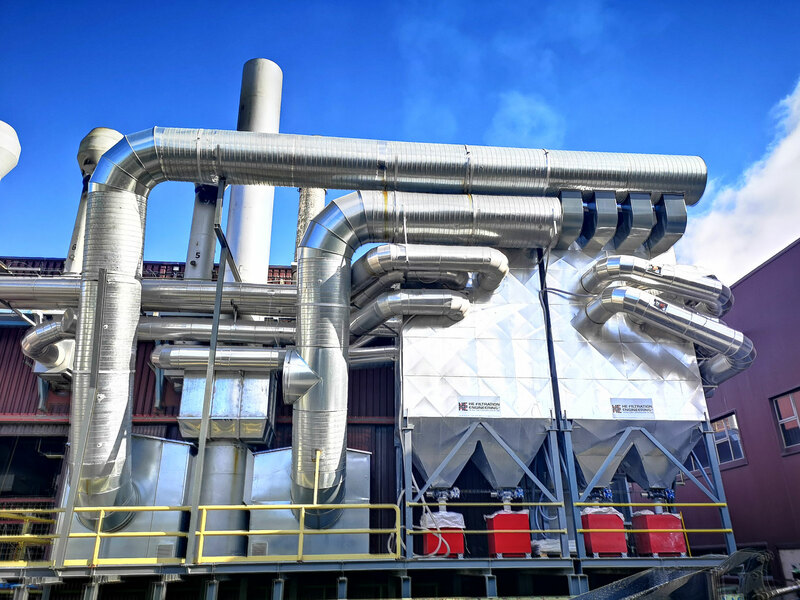 We rely on the extensive experience of the DIVISION OF PLANTS, and develop the study and engineering for the treatment of emissions to the atmosphere within the industrial world. 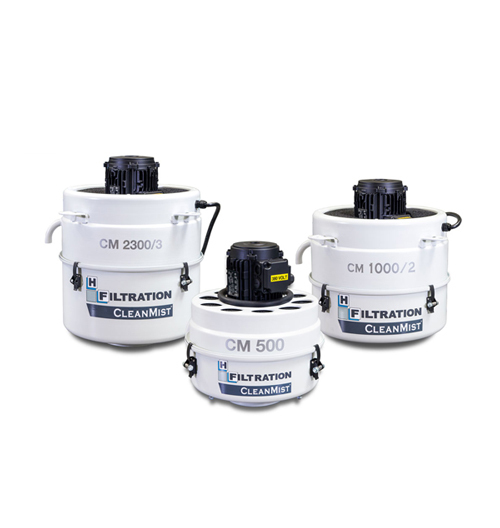 Modular filters for the elimination of dust, with high efficiency cartridges, and self-cleaning by compressed air. 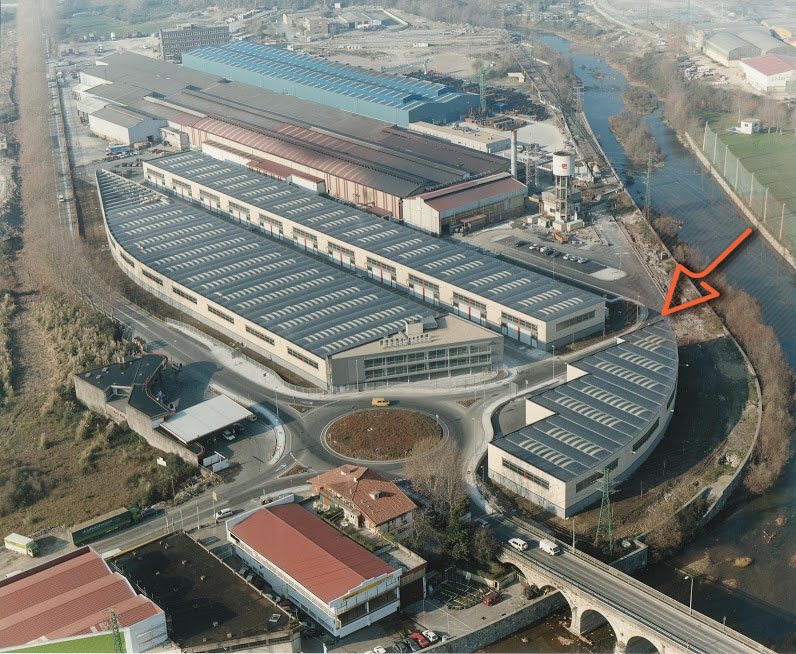 Our own experience accumulated during these years together with the experience of HFiltration, of more than 40 years in the air filtration and depuration sector in multiple industrial sectors, puts us in an optimal situation oriented to protect the environment and its sustainability. Filters with self-cleaning Bags using compressed air. 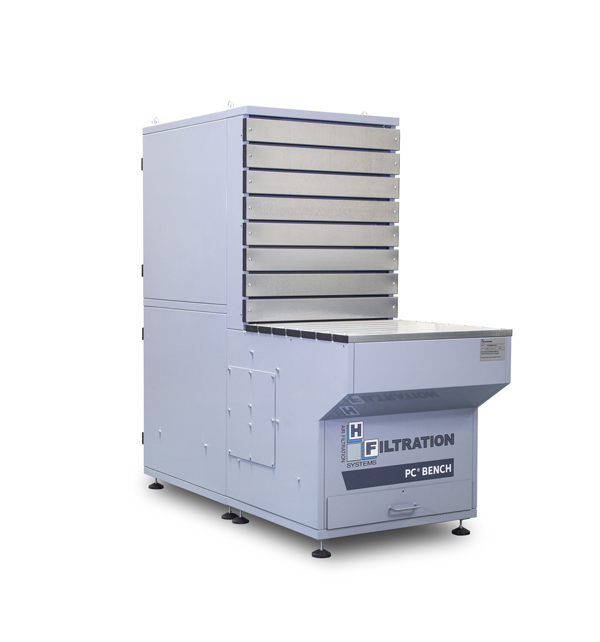 New range of vacuum tables, with and without built-in filtration, designed to ensure pollution-free working areas. 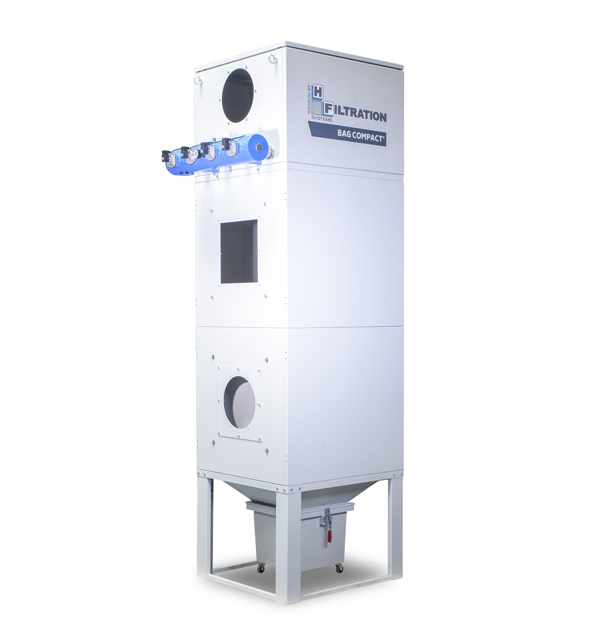 Centrifugal-coalescent filtration, and static, for the suppression of mists and oil fumes from machining operations. 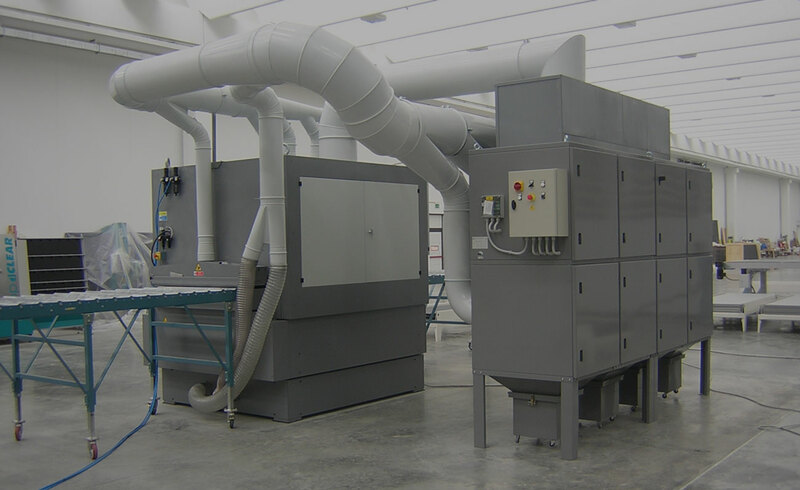 Your perfect technological partner, with the maximum experience in environmental solutions and air quality. 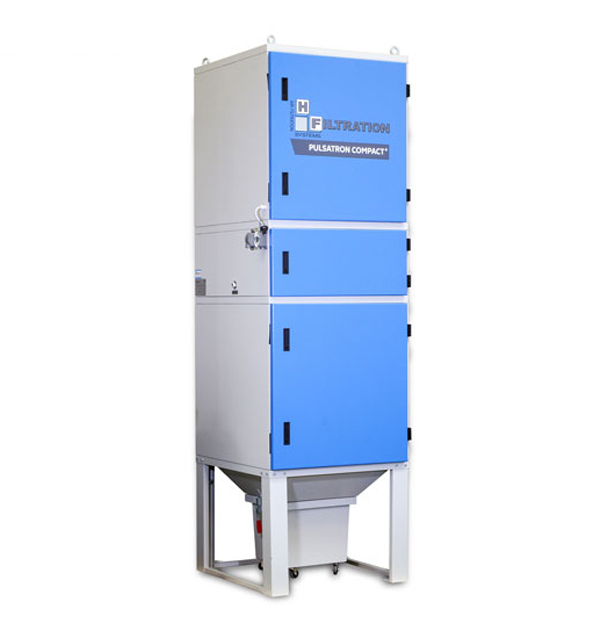 HE Filtration operates, with more than twenty years of experience in the field of purification and air filtration in many industrial sectors, to protect the environment and its sustainability and always applying the standards of Quality and Environment certifications. We take care of the environment and look for integrated solutions in the different technological needs of our clients, offering reliability and excellence in service. * By writing you accept the terms and conditions of the LOPD of our company. Your mail will be safe. HE FILTRATION ENGINEERING, S.L. inició su actividad en el año 1999 como subsidiaria de HASCON ENGINEERING. En la actualidad es una sociedad de ingeniería, ‘partner’ de HFILTRATION.